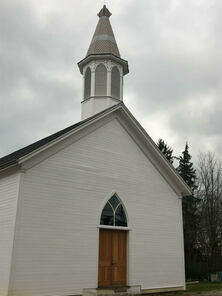 ​In 2016, the Moreland Community Historical Society purchased the old church building located in the heart of Moreland in hopes of restoring it. 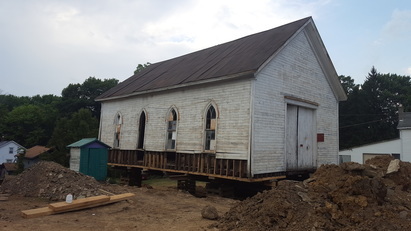 Shortly after acquiring the property, the Historical Society tore down the decrepit block building located beside the church and began making restoration plans for the original 1882 Church of God building. Plans changed that summer when the south side of the building’s foundation crumbled, leaving the church in dire condition. Immediately, The Historical Society, along with many local residents, set out to save the local historic landmark. 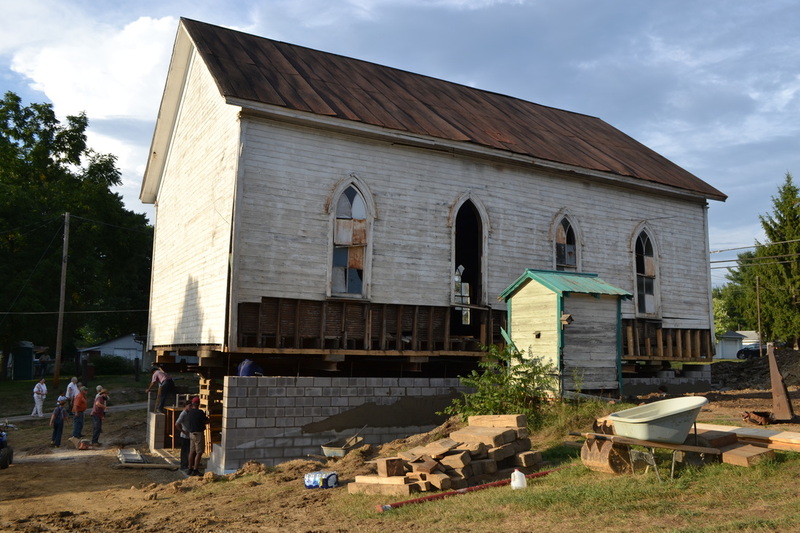 The church wall was saved before a crew came in to raise the building and move it to the back of the property. On August 10, 2016, a "church raising" was held as many local residents and businesses helped build a new block foundation for the building. On Thursday, April 26, 2018, with much anticipation, many throughout the community came out to witness the twenty eight foot tall steeple being lifted in the air by crane and placed on the church. 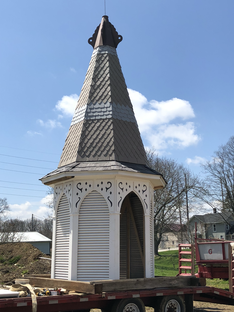 The new steeple finished the appearance of the Church’s roof, which was covered with new plastic shingles made to look like the original cedar shakes. Now that the exterior of the church is near completion, the Historical Society has turned its focus to the interior. 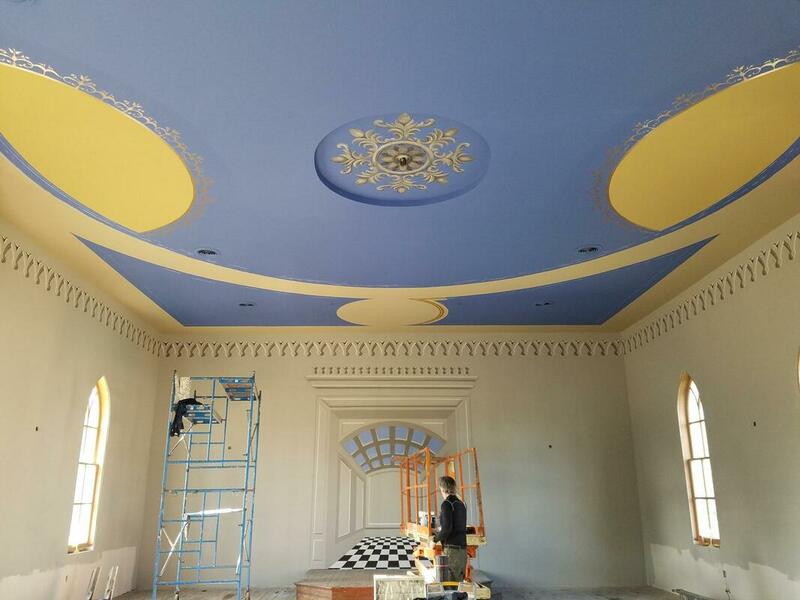 A local artist, Rusty Baker, came in this fall to replicate the ornate Fresco paintings that once covered the walls of the church. 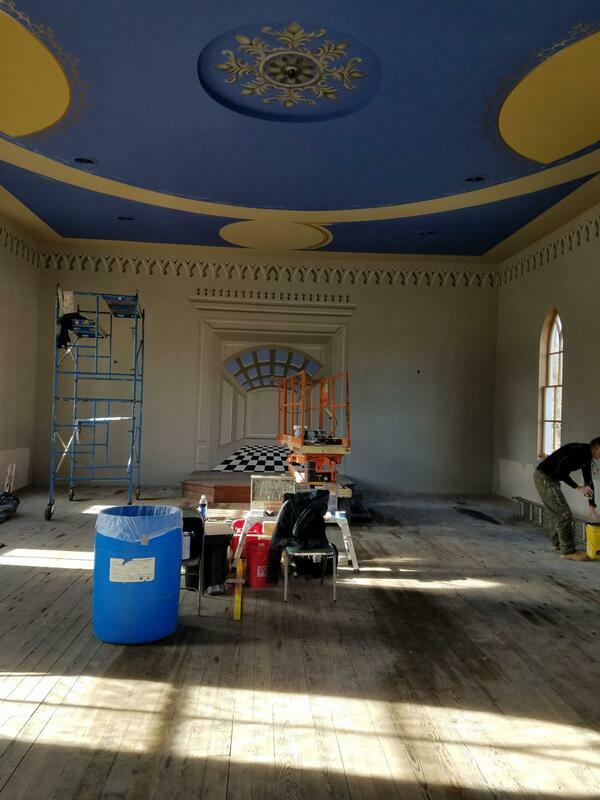 In 2019, the Historical Society would like to see the basement complete in order to provide a functional, yet beautiful, historic building available to the community to rent for family gatherings, weddings or special occasions. 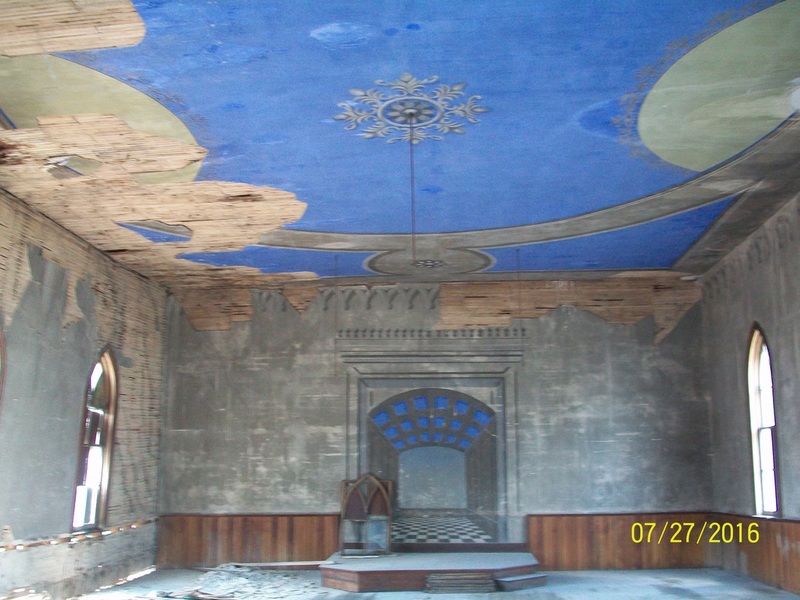 The Historical Society’s decision to take on the huge task of restoring the Church of God has been very humbling. Many from the local community have donated money, in-kind services, skills, and their time to help bring this dream to a reality. The local Amish community has donated many afternoons repairing the collapsed foundation and pouring new concrete. Much of the accomplishment of this reconstruction is a direct result of the exceptional community in which we live. The Historical Society is very grateful for all those who have donated or helped in some capacity. 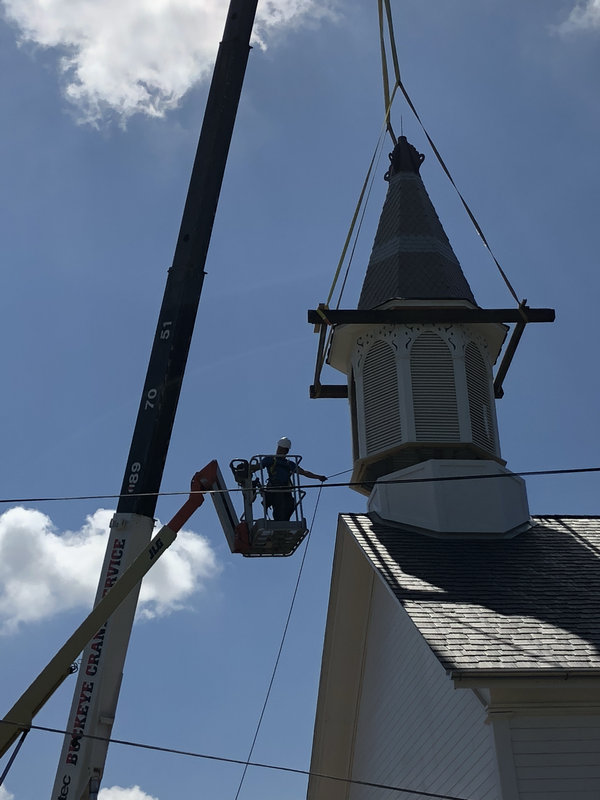 On April 26, 2018, many from the local community came out to witness a crane lift the new twenty-eight foot steeple and place it on the roof of the Church of God. Check out the 17 second time-lapse video of the steeple going up on YouTube. Check out this great video on YouTube by David Bricker! It shows a different perspective of the raising of the steeple.